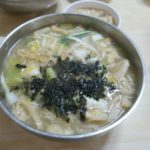 Bibimmyeon is one of popular summer menu items in this regard are noodle dishes that are served cold. 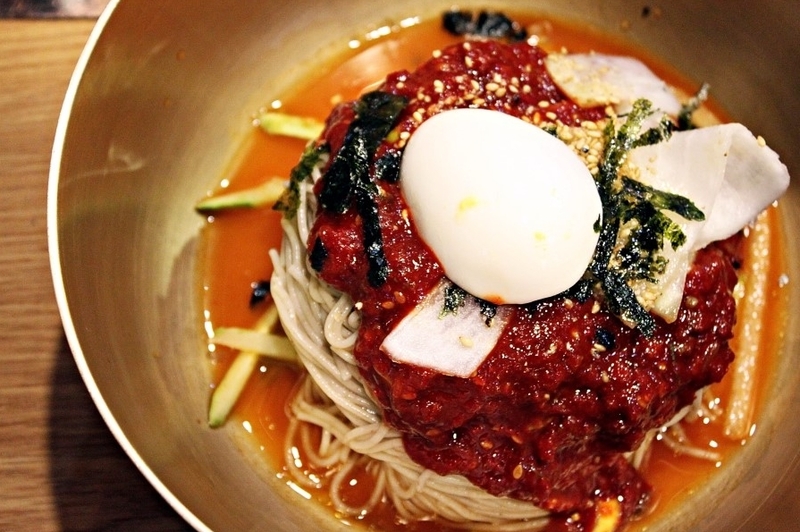 Bibimmyeon is mixed noodles with a spicy paste, vegetable, egg or slice of meat. 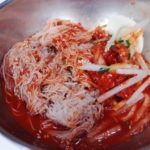 Many variations of these noodle dishes can be found in shops across the country, so customers can find their own tasty summer dish. 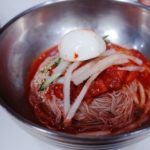 This is the best 5 of Bibimmyeon restaurant you can find in Seoul! 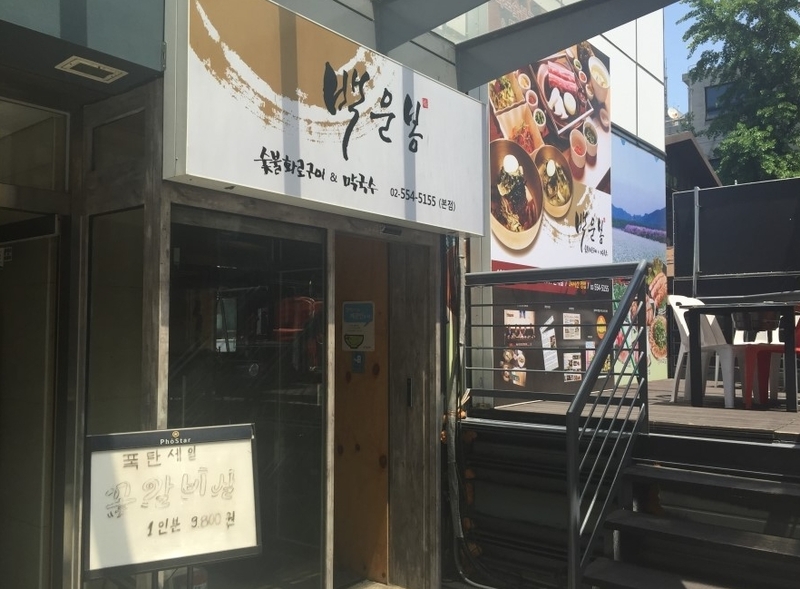 This restaurant location near from Namdaemun market. The price is reasonable, around 7000won for one portion. 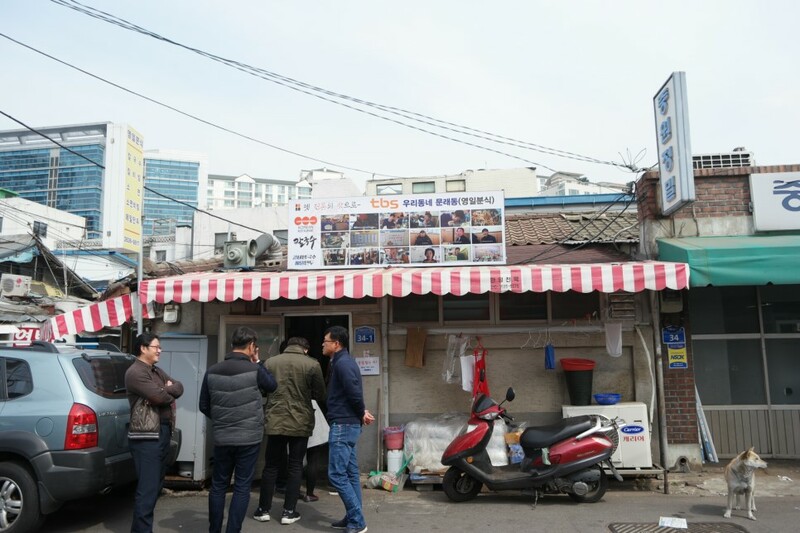 Beside bibimmyeon, theres another menu they served like Naengmyeon,Bibimmyeon, onmyeon, and another kind of myeon. 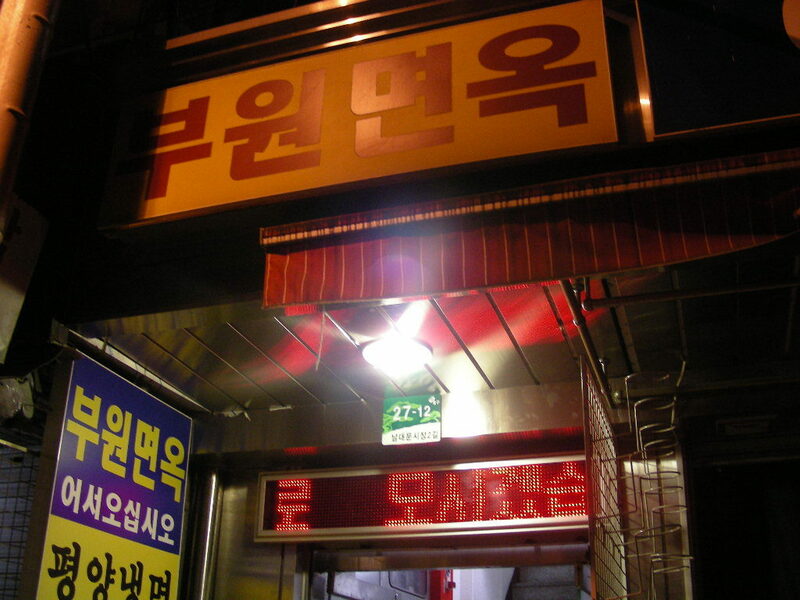 One of another popular bibimmyeon place is Mimiguksu. This small resturant located in Sindandong. 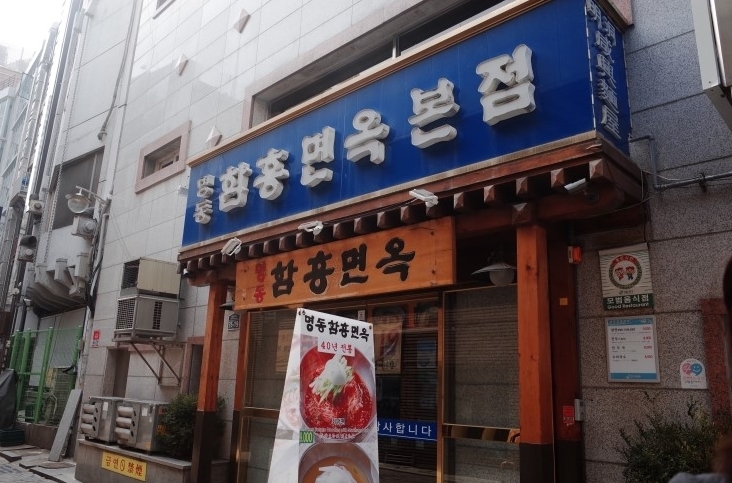 Although it does not have a large store, this store is always crowded by people who want to eat bibimmyeon.This restaurant only offers two menus, mimiguksu and bibiguksu. If you want to eat in this restaurant, you should come early, or you should take line to eat in this place. Only 5000won/portion. 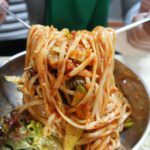 This restaurant specialized in noodles at Mullae-dong. Mullae-dong is located in the ironworks was the alley and old restaurants , but the interior is neat and different appearance. They served kind of noodles. If you order a menu according to the number of people you can refill the noodles and rice. Only 5000won/portion. This restaurant located at Gangnam. 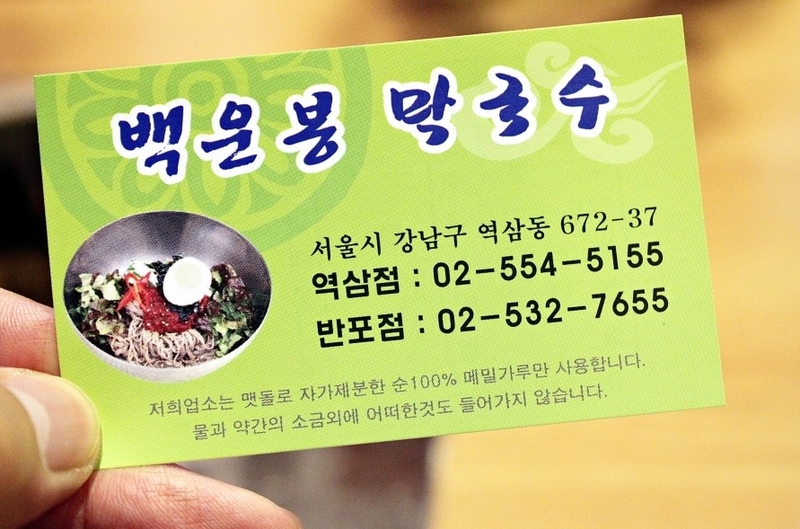 Baekunbong use 100% pure buckwheat. Prove it as the entrance to see a sharpening machine with buckwheat. 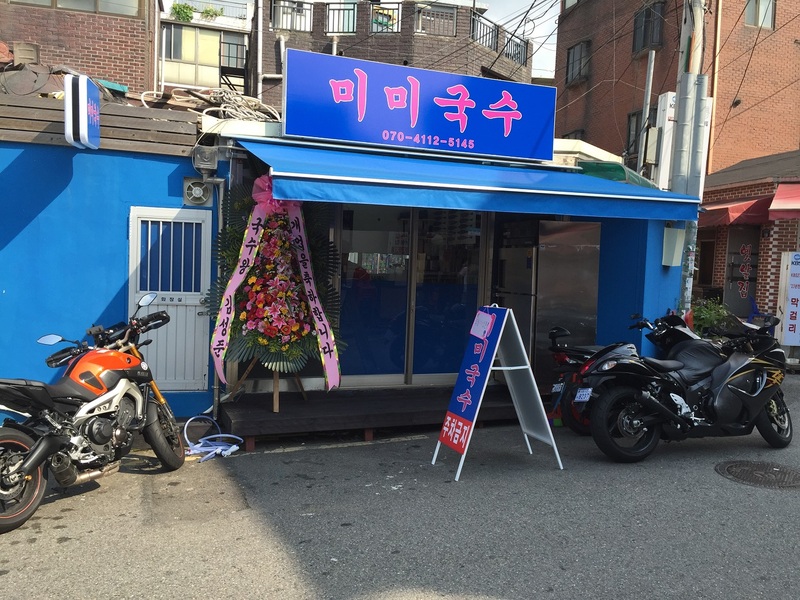 This restaurant served many kind of Bossam,pajeon, Mulnaengmyeon , Bibimnyeon etc. 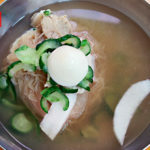 One portion for Bibimmyeon is 8000won. 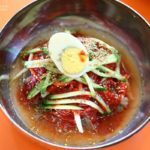 The restaurant is located in a more secluded part of Myeongdong, not far from the Myeongdong Cathedral and is well known for its North Korean-style naengmyeon dishes, especially its mul-naengmyeon and hoe-naengmyeon.They served hoe-naengmyeon , mul-naengmyeon, mandu and another korean food. 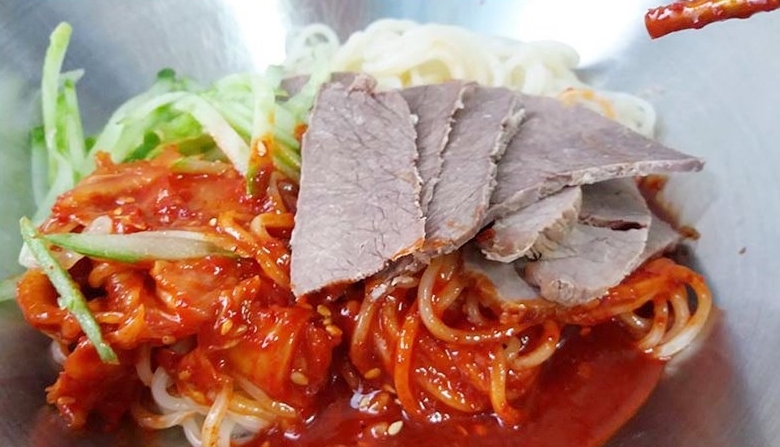 Only 5000won for one portion of hoe-bibimmyeon. This entry was posted in FOOD, Travelstyle and tagged activity in Korea, Dining, dining in Korea, dining in Seoul, Food, food in seoul, Korea, Korea travel tips, Korea trip, Korean, Koreatrip, sharing economy Korea, ‪‎travel, ‪‎traveling‬, trip.